Viceroy Chicago, the Viceroy Hotel Group’s first property to open in the Midwest, makes its debut in September 2017. Viceroy Chicago is located on the site of the former historic Cedar Hotel, located in the Gold Coast neighborhood at the intersection of Cedar and State streets. 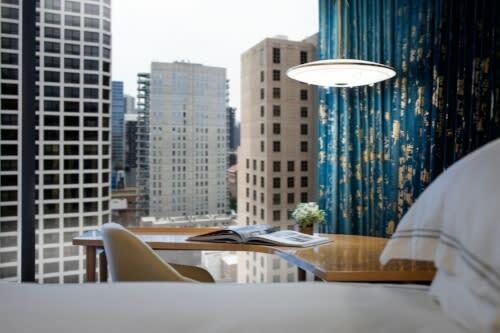 The sleek 180-room, 18-story hotel is situated in the center of the city’s bustling Rush Street area, close to hot restaurants and nightspots, in addition to upscale shopping on Oak Street and the nearby Magnificent Mile. As a tip of the hat to its history, Viceroy Chicago features the Cedar Hotel’s original 1920s brick and terra cotta facade on its lower floors. Inside, Viceroy Chicago’s decor is inspired by the Flaneur, a French literary figure known as a free spirit with a passion for exploring. The hotel’s public spaces feature bold art fixtures, such as the towering 30-foot-tall teal poem wall in the lobby living room that’s inscribed with quotes from French poet Marcel Proust. Just beyond the living room, a colorful painting by South American cubist artist, Badi, depicts a Venetian carnival recital. It serves as a stunning backdrop for the large bronze reception desks that welcome hotel guests. The hues of Badi’s painting are incorporated throughout the hotel, from hallways to guest rooms. 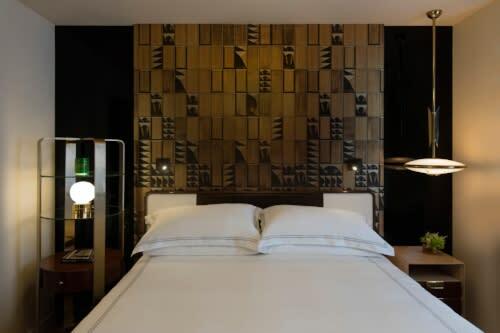 In addition, each guest room features a distinctive wall headboard that is a digital reproduction of an original work by London artist Tim Modus. Mid-century design elements pay homage to Chicago’s architectural history. Select suites feature expansive terraces with sweeping vistas of the city skyline and Lake Michigan. Plus, there’s a rooftop pool and lounge serving up craft cocktails and panoramic views. 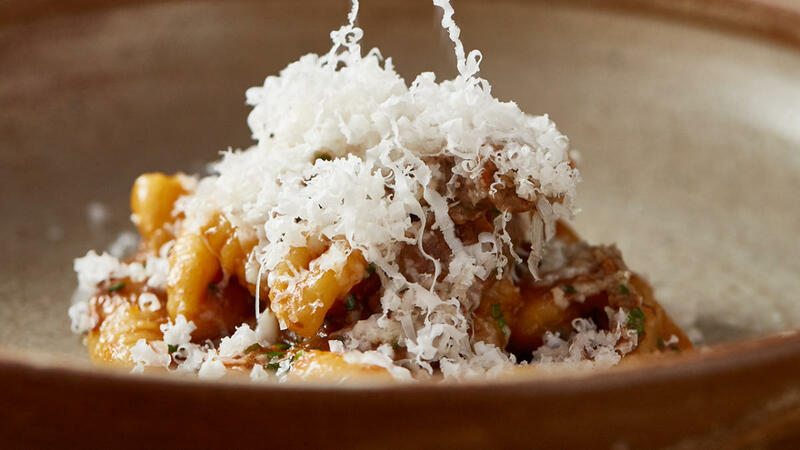 Viceroy Chicago will also be home to Somerset, a new restaurant helmed by Chef Lee Wolen, a 2017 James Beard Award nominee in the Best Chef: Great Lakes category for the acclaimed BOKA restaurant in Chicago’s Lincoln Park neighborhood. Chef Wolen has created a seasonal American menu of flavor-forward dishes made with local ingredients. Located on the hotel’s ground floor, Somerset features a large tree-lined patio perfect for dining outdoors on warm days. The restaurant will be open for breakfast, lunch, dinner and weekend brunch. Chef Wolen will also oversee the culinary offerings at Viceroy Chicago’s 18th-floor rooftop lounge and pool called Devereaux (serving craft cocktails and delicious bites), as well as in-room dining, catering and events. Viceroy Chicago also features 5,000 square feet of meeting and event space. The space includes the luxurious 2,200-sq.-ft. Cedar Ballroom and its adjoining outdoor Terrace. Hotel reservations for stays beginning October 1, 2017, are currently being accepted. Somerset opens to diners in September. All images courtesy Viceroy Chicago.